We’re proud to announce that Schrems TU has been awarded $2,500 from the Embrace A Stream (EAS) grant program to continue its conservation efforts on the Coldwater River. Additionally, Schrems TU will contribute $5,000 toward that work. The plan is to improve instream habitat by adding logs into the Coldwater River. The logs will help protect banks, provide cover for fish and scour deeper holes. A similar effort was done in 2010 with outstanding results. EAS is a matching grant program administered by TU that awards funds to TU chapters and councils for coldwater fisheries conservation. Since its inception in 1975, EAS has funded more than 1,080 individual projects with more than $4.75 million in direct cash grants. Local TU chapters and councils contributed an additional $14 million in cash and in-kind services to EAS funded projects, for a total investment of nearly $19 million. The Coldwater River is a cold-water stream (class 4 trout stream) in Southwest Central Michigan. 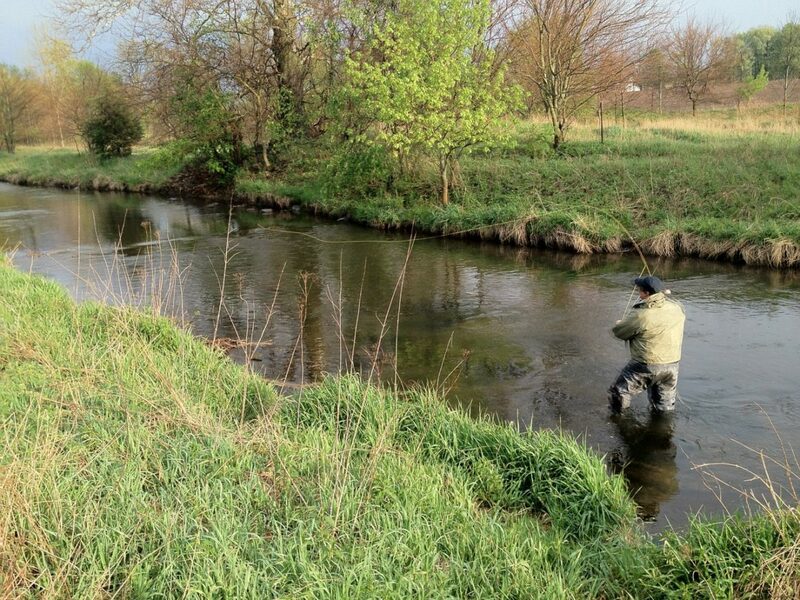 The watershed provides some of the best trout fishing in the area. 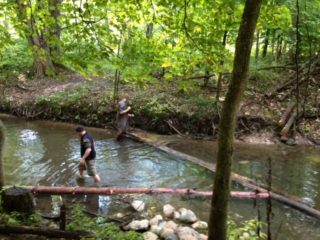 For over 20 years the Coldwater River, Tyler Creek (Bear Creek) and the Pratt Drain have been the recipients of time and treasure from Schrems West Michigan, Perrin and Oakbrook TU chapters and the Coldwater River Watershed Council. Brown trout as large as 7 lbs. have been found in the stream in recent years. Trout populations have increased significantly under TU care, with major projects completed on Tyler Creek (Bear Creek) and the Pratt drain within the watershed. In 2015, a contractor hired to remove dead tree debris from the stream did drastic damage to a major part of the stream, its canopy and streambanks. We will embark on restoration work that will include restoring stream canopy, stream bank stabilization and in stream habitat restoration and improvement. It will take many years to restore the damage done but the watershed is worth the effort.